When you're dining in a Korean-barbecue restaurant, you will encounter the servers placing numerous small bowls right in front of you—more often than not, even before the main course arrives. These small bowls are not to be confused for appetizers; these are what the Koreans call banchan or side dishes, which are usually refillable at your favorite KBBQ restaurants. Locals from South Korea usually wrap a mix of banchan and the grilled meat in crispy lettuce before eating them all in one bite. These banchan add a contrasting or complementary flavor to each meaty bite. 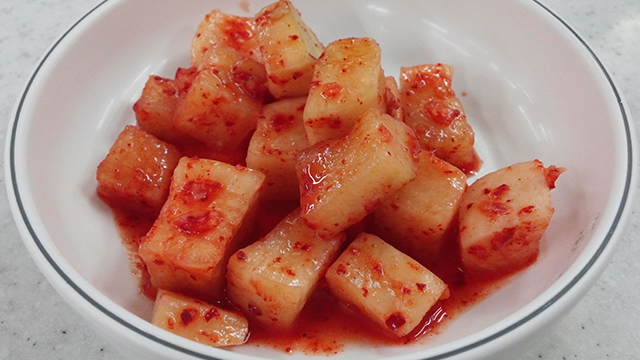 Kimchi is one of the most popular and well-known Korean side dishes. 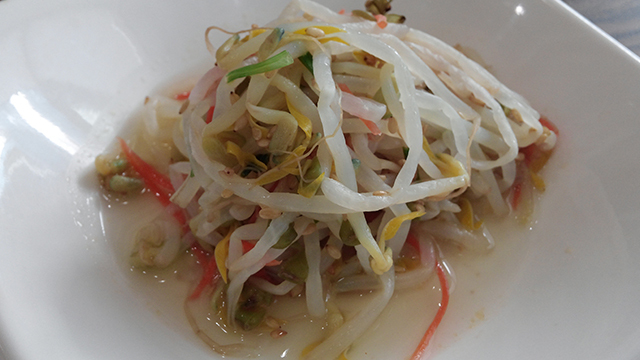 It's a traditional spicy-tangy side dish made from salted and fermented vegetables, commonly cabbage and radish. 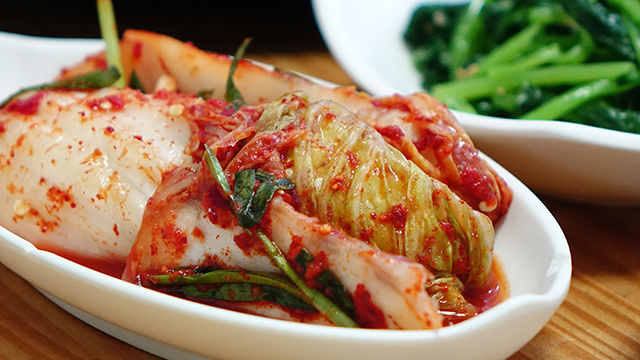 The spiciness of kimchi comes from the chili powder, garlic, ginger, red pepper, and sugar, and fish sauce. 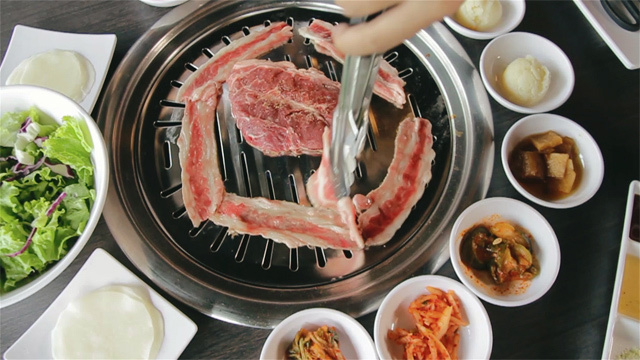 Kong means "soybean sprouts," while namul means "vegetable side dish." These non-spicy soybean sprouts are commonly lightly seasoned, which makes it a great addition to spicy meat. This banchan also adds crunch and texture to each bite. Algamja-jorim is made with baby potatoes that are braised in soy sauce and rice syrup. You know that this sweet side dish is cooked to perfection when the baby potatoes' skin is crunchy, while the inside is soft and fluffy. 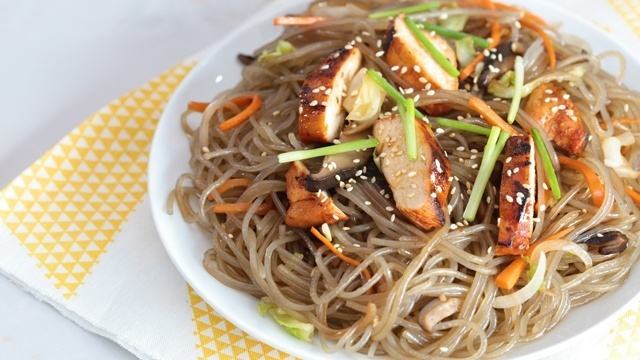 Japchae is a sweet potato starch noodle dish that is typically made with beef and a mixture of vegetables, such as carrots, spinach, onions, mushrooms, cucumber, and bell peppers. The crunchy and vibrant vegetables contrast with the springy, chewy noodles. For a more filling Korean barbecue experience, you can add a bit of this classic sweet-savory Korean side dish to your lettuce-wrapped grilled meat. 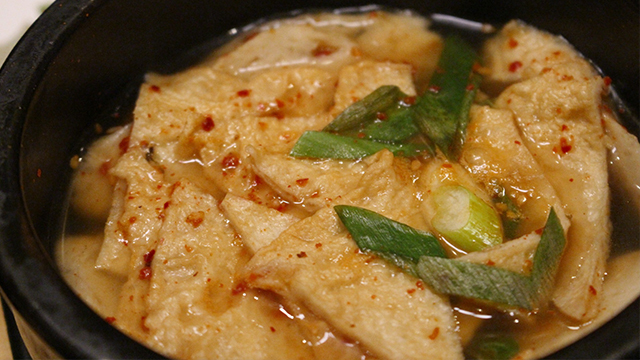 Eomuk bokkeum is a fish cake side dish that's typically made with fish cake sheets. Eomuk bokkeum is best made when the sheets are thinly sliced, so the flavor is easily soaked up by the fish cake. This is commonly served as a side dish, but can also be eaten as is or added to a bowl of soup or noodle dishes. 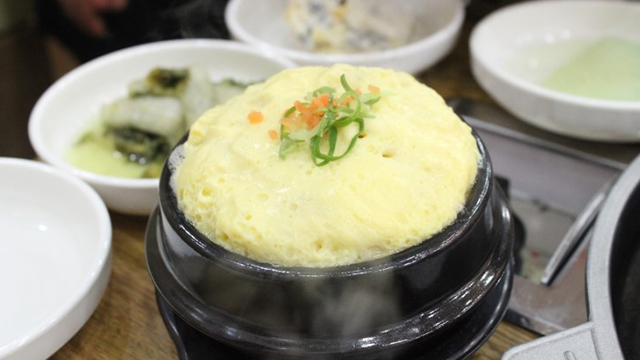 Even though gyeran-jjim looks a lot like egg souffle, this Korean side dish is steamed instead of baked. It's slightly salty, savory, with a fluffy texture that's reminiscent of clouds. This is best paired with peppery grilled meats as it can tone down the spiciness. 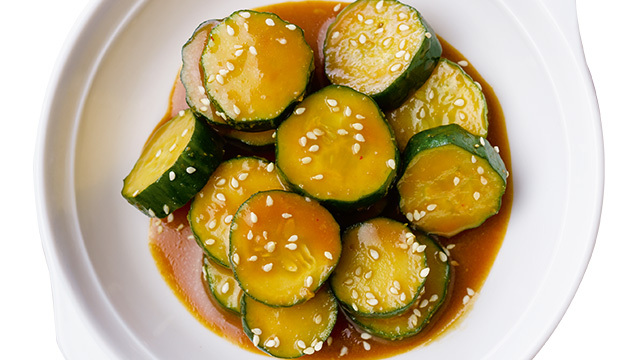 Hobak bokkeum traditionally uses Korean zucchini, which is slightly thicker and with a more tender flesh compared to other types of zucchini. What gives this banchan a salty flavor is the saeujeot, which are salted and fermented tiny shrimps. Chickin mu is pickled radish that's crunchy, sweet, and commonly served cold. 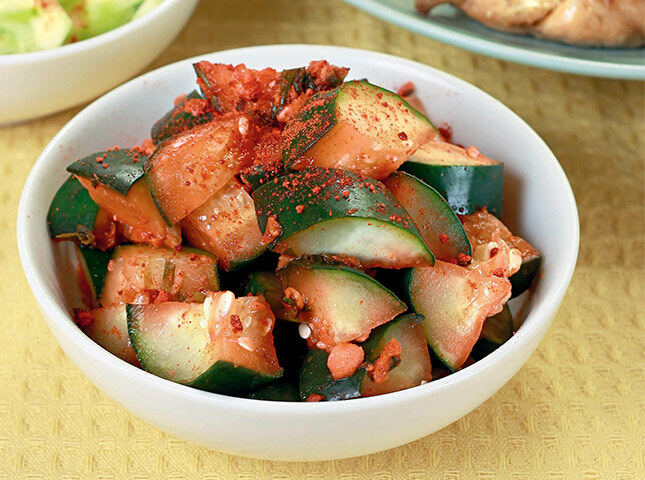 This is a great side dish that can cleanse your palate when you're in between sampling spicy meats. Oi sobagi is made by stuffing vegetables and kimchi paste in between a sliced cucumber. 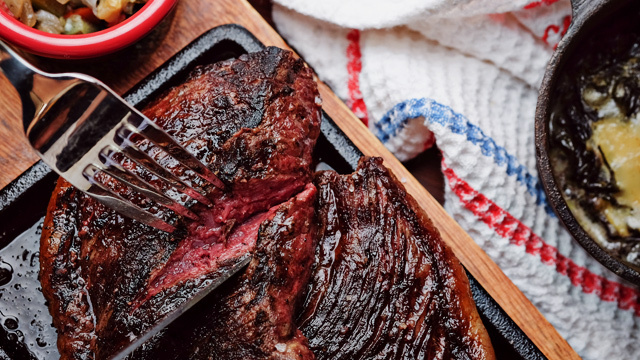 It's a crisp, crunchy side dish that goes well with beef. 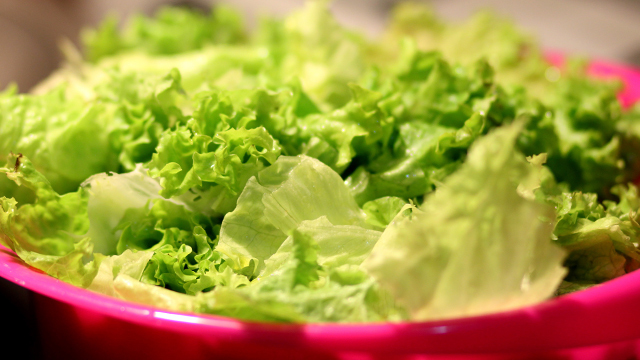 Lettuce plays an important part in the whole experience of eating at a Korean-barbecue restaurant. The lettuce serves as the wrap that holds together the grilled meat and the banchan. 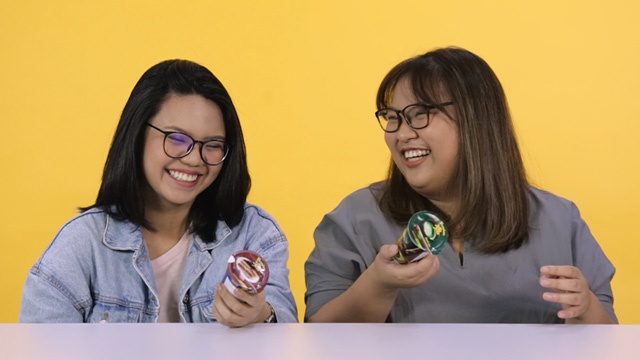 Once the meat and banchan are tucked inside the wrap, you can dip it in the sauce before popping it in your mouth in one bite.